Hi friends, sweet little Cassidy is here ready to melt your heart! 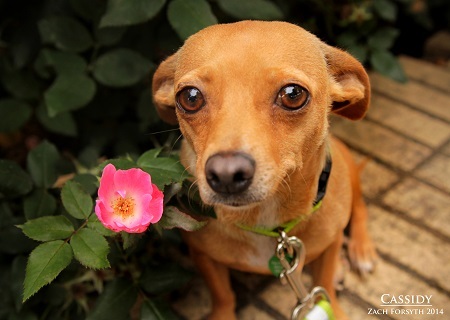 I’m a lovely 6 year old Chihuahua who is just so gentle and darling. At exactly 12.4 lbs I am the perfect size for prancing around your garden like the little flower fairy that I am, or I can fit perfect beside you on the couch while we eat comfort food and wait for fall to come creeping in! I can be a bit sensitive to a lot of commotion, so a quiet home that prefers classical music to rock-n-roll will be the best fit for me. I do well with other dogs and cats and I’m sure to bring a maternal, loving presence to any household. I’m I the girl you want to tuck in at night? Fill out an application at pixieproject.org so we can schedule a meet and greet. I am fixed, vaccinated and microchipped. My adoption fee is $250.